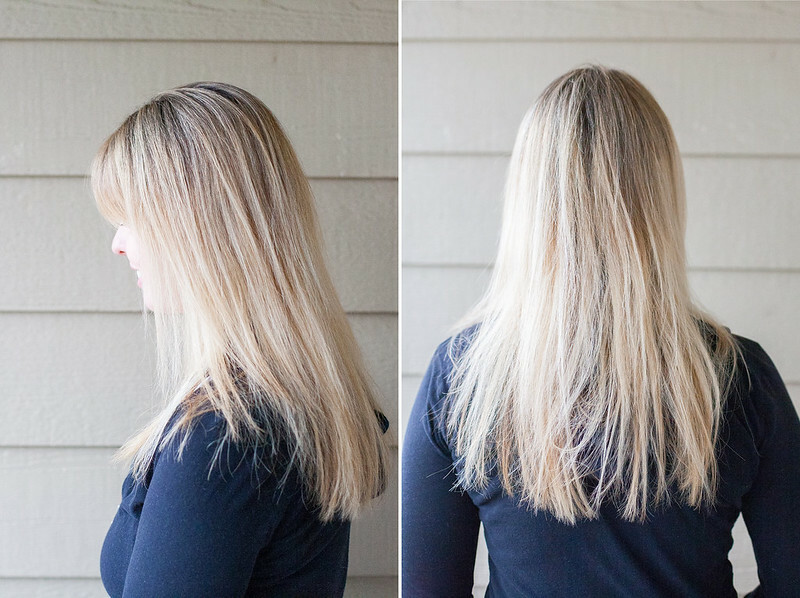 by gillian claire: Why I Stopped Using Conditioner on My Dyed Blonde Hair // with New Wash! 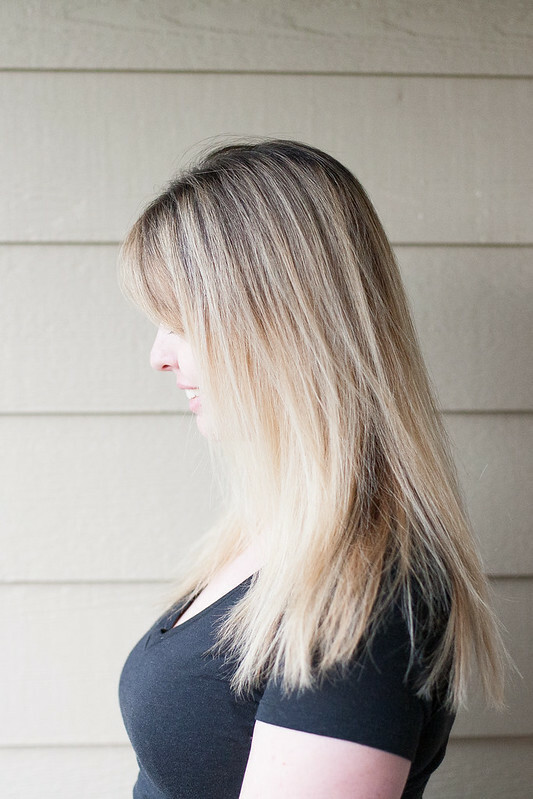 Why I Stopped Using Conditioner on My Dyed Blonde Hair // with New Wash! 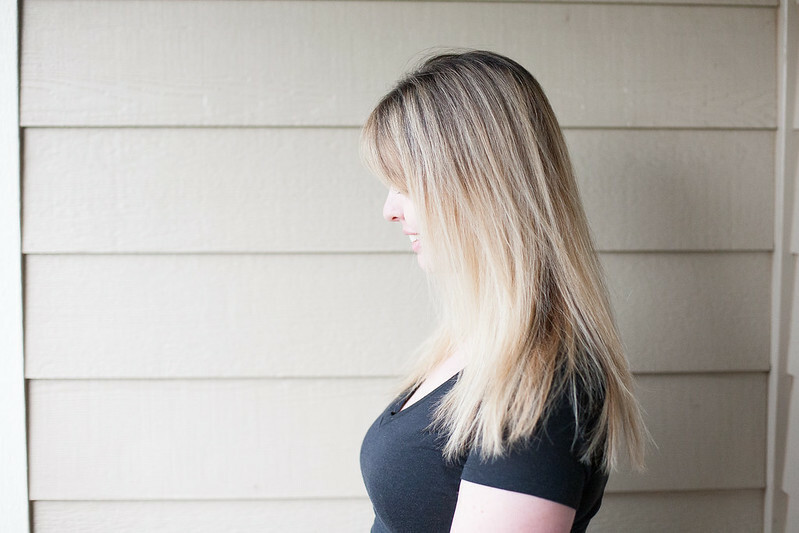 I'm so excited to finally share with you a product that I've been using and loving since March! I've slowly transitioned to blonde hair over the past year and a half and it's definitely been a learning curve! One thing that I've finally made a priority is using better products on my hair. With my natural hair, I was basically a $2 Suave girl and my hair stylist has finally convinced me that what I could get away with on my natural hair just won't cut it on highly processed hair. Gina at Hairstory helped to further ease my fears by explaining that their products are free from any harsh chemicals and instead use essential oils and naturally occurring ingredients such as jojoba oil and aloe. She also showed me this video which demonstrates how New Wash actually helps protect colored hair much longer than other products! I agreed to switch to New Wash for 30 days but I was pretty skeptical about the idea of not using conditioner. I mean sure, cutting down to one hair product sans harsh chemicals sounds great but let's be honest, bleaching your hair blonde makes it SO dry. I definitely miss my shiny, healthy natural hair and even with biting the bullet and purchasing salon products, I haven't found anything that has worked wonders on bringing back it's natural texture. The first time I used New Wash, I was literally shocked at how soft it made my hair feel! It's the softest my hair has ever felt since I started going blonde besides getting actual conditioning treatments done at the salon. I put my hair up that evening for the gym and no joke, when I took it down from my ponytail after working out, I felt like I was in one of those ridiculous shampoo commercials because my hair fell down looking just as good as before I worked out. There weren't even any hair tie lines; it was crazy! I have been using New Wash since March and I'm still really happy with it! The last time I had my hair done my hair stylist agreed that this is a worthwhile product and that it helped keep my blonde looking great! Hairstory sent me their full line and I've really enjoyed trying out their other products as well. I love using their hair balm in place of hairspray. I just use a little in my hands to tame flyaways and I've also used it on the boys instead of hair gel! 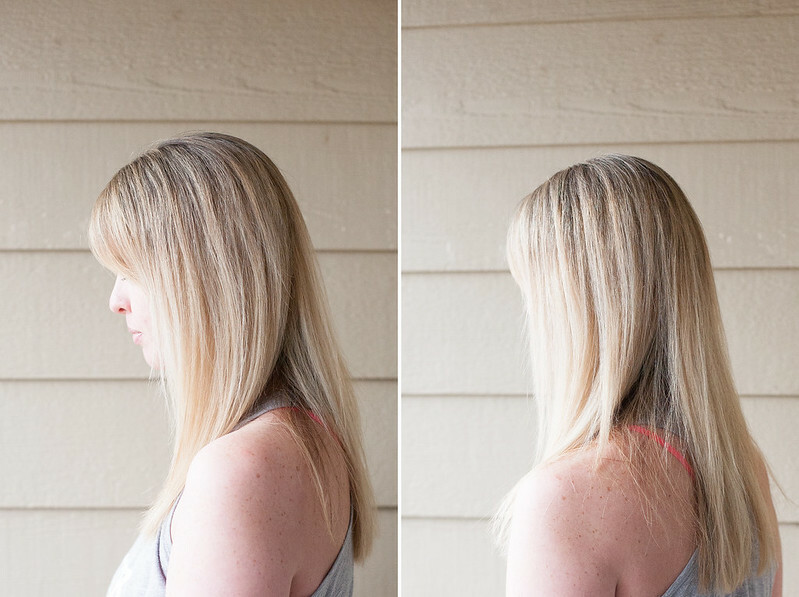 All of these photos were taken during the first 30 days that I switched to New Wash. You can see that my blonde still looks great after 30 days and I can tell that it's softer and healthier than ever! I do still use purple shampoo 2-4 times a month to help keep my tone. One tip that I do have about this product is that you'll need to spend a little extra time making sure you rinse it all out in the shower. I read a disclaimer about this and it's definitely true because this stuff will want to stick if you don't give your hair an extra rinse! Now, if you are a fake blonde like me (hah!) 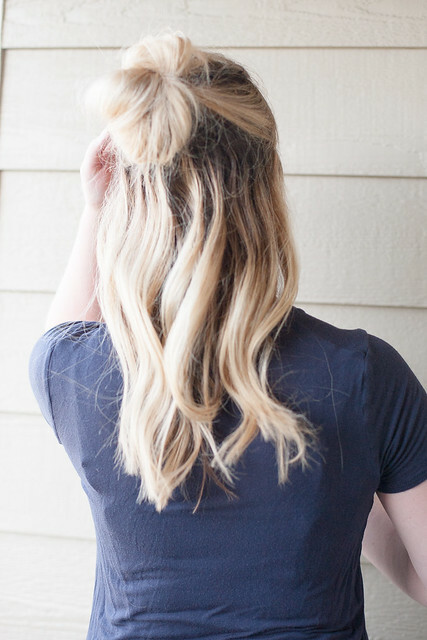 please, please, please tell me all your hair secrets and favorite products below! Have you heard of New Wash? What are your thoughts? Man, I need to look into this! I LOVE conditioner, like can't live without it! But I have heard great things about Purple Shampoo and with New Wash, it could be a game changer! Thank you! I couldn't believe that this stuff actually made my hair SOFTER than the conditioner I was using! It's great! Needed this! I've been skimping on products and my hair is showing it! My favorite go to is actually coconut oil! Looks great! 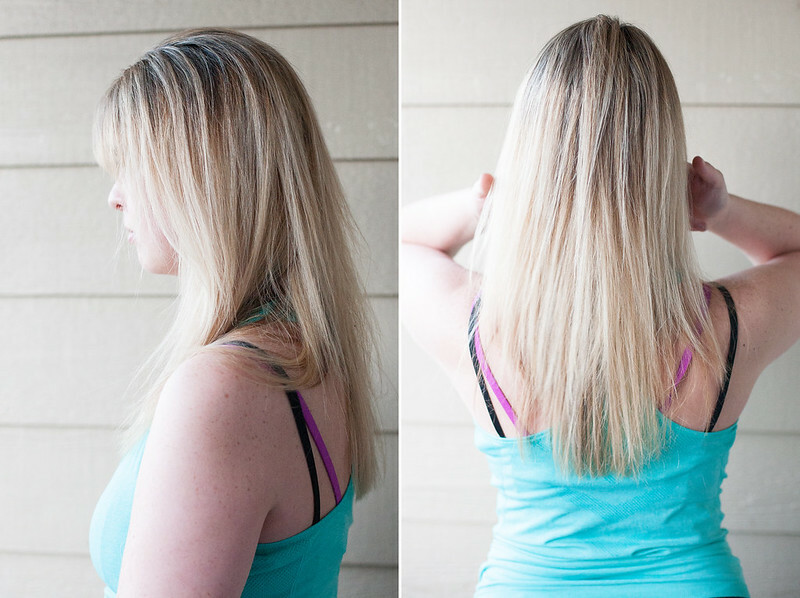 Your hair really does look healthier too! Your hair looks great! I'm going to have to check this out! I'm definitely going to have to check this out! I've been struggling with my hair after going blonde and could use all the help I can get! Portraits of my boys, Summer 2017. Our Road Trip via Instagram + Snapchat. Our Back to School Countdown Bucket List!